In my yesterday’s analysis of SAP’s HANA announcement, I wondered why SAP stays silent on the AI and MachineLearning frontiers. Well, today I know. They saved this announcement for today. And the announcement is a bang. SAP will deliver what they call ‘intelligent business applications’ that are based upon SAP’s new machine learning platform. The platform itself shall be made available with SAPPHIRE NOW 2017. The first significant intelligent application by SAP that is mentioned, is a brand intelligence application that leverages deep learning to analyze brand exposure in video and images to provide ‘accurate, real-time insights into sponsoring and advertising ROI”. You may remember that SAP earlier showcased an application to reduce recruiting bias, which is based on the machine learning platform, too. 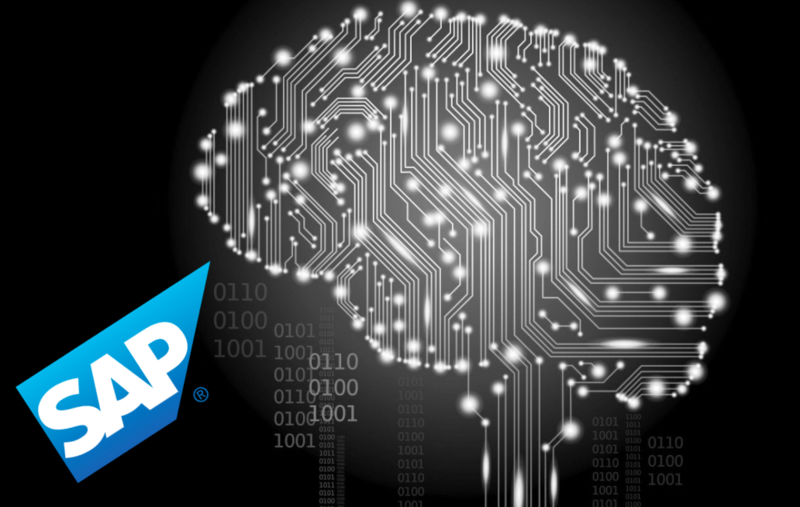 According to Juergen Mueller, Chief Innovation Officer at SAP, the new machine learning platform is intended to serve SAP’s and their ecosystem’s applications with the goal of creating more business value. Consequently, there are two more aspects to the announcement. SAP launched a partner program dedicated to SAP Application Intelligence. SAP invests into education offerings, starting with a ‘massive open online course’ on Enterprise Machine Learning on their OpenSAP platform. This announcement clearly shows that SAP is as serious about machine learning as the company is about leveraging the power of its ecosystem. As I, and many other people, have often said, SAP is a formidable organization if and when it chooses to drive a topic. This is shown here again. And SAP is absolutely on the right track by pursuing this three-pronged approach of delivering a platform with first solutions, encouraging partners, and offering education around their platform. However, there are three concerns. The first one is obvious. As per yet there is nothing really tangible beyond the announcement and a marketing oriented page on their site, which refers to four intelligent applications. Having no doubt about willingness and ability to deliver it appears that SAP is playing catch up with Microsoft and Salesforce here. Second, and more importantly, there is no statement about how the new machine learning platform relates to SAP HANA nor how it is delivered. I can only speculate that this platform is made available via SAP’s cloud services and is not built on or directly using SAP HANA, although I expect interoperability. Lastly, some words about the licensing model and cost would do.